Editor's note: the following post is written by Jordan Schmidt. Jordan is one of Digitability's interns where he is responsible for developing and creating motion graphic videos and other video assets for Digitability. We are grateful to have Jordan on our team! When I was about 3, my parents figured that they'd have to tell me one of these years, so they sat me down, put a bunch of informational books on ASD on the counter, and told me, bluntly, that I was on the autism spectrum, and that it was something I couldn't control. And as a three-year-old, I imagine I took it pretty well. As I got older, as I figured out how I stuck out like a sore thumb in a class of 25 or so, I became more adamant about, well, not having Asperger's. 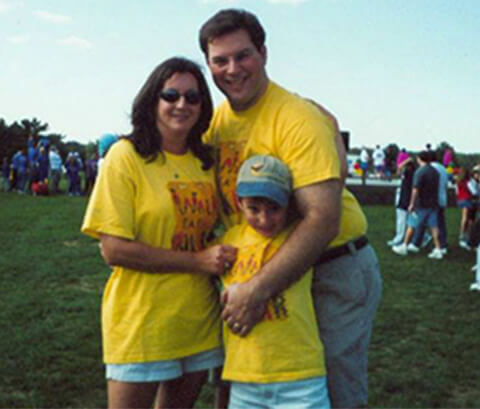 My folks used to take part in these 'Walk for a Cure' type things that Autism Speaks would put together in the greater South Jersey area, and initially I was like, 'yeah, get me a cure, me first' and all that. I didn't care how scientifically impossible it was, but the thought of not having this disorder that kept me from, again, being normal really appealed to me back then. The odd part was that academically, I was never a problem. I paid attention in class, did homework, got good grades, and legitimately tried. My folks later told me that I was at a higher reading level than most of my elementary school peers, and the teachers would have to sneak out of the class and grab heftier reading books for me from the higher-level classes. I'm not saying this to brag, I'm just saying it to make a point. Because while, academically, I soared, the social aspects were what did me in. I'd have days when I'd be so sucked into a writing assignment that I wouldn't want to switch to another subject like math or science, and I'd complain and lose control and such. As a kid, and even as a 23-year old, I hated sudden transitions, moments that would sneak up on me and force me to rethink an entire situation on the spot and mentally and physically prepare for something completely different in an instant. It's a no-brainer for most people, but for me, it tripped me up nearly every time. My parents worked with my teachers to help mentally prepare me, which sort of helped. Change didn't occur immediately, but when does it? As a child, I had this insatiable desire for normalcy. I saw how everyone around me acted, and I felt I needed to act exactly like they all did. Looking back now, at 23, I'm not exactly sure why I wanted this back then, but it seemed to make sense to me at 7 or 8. It definitely had something to do with my Asperger's. It took a while, but eventually I figured out that I could make something great out of something that seemed so dire. Like the time I did a multi-act routine in front of an audience as you can see in my video below. It wasn't until I got to college that I figured out that being normal was kind of overrated. I got to college, this cool little art school in Purchase, New York, and I offhandedly say to people that I'm on the spectrum, and ... nobody really cared. I mean, not in the whole 'yeah, whatever' kind of way, because they definitely heard me, but it didn't affect how they thought of me. I could have killed for that in middle and high school. I couldn't be myself there; I'd have to put on some ill-fitting mask of some neurotypical kid who knew what he was doing. So for my college to be so accepting and warm to the whole 'aspie' thing...that kind of shocked me, to be honest. These days I still have a ton of the same anxiety issues I used to. I still overthink just about everything, I still get very anxious about new situations and sudden transitions. But I've learned to hone my Asperger's, the perseverations, and I've figured out that some good can come from it. My writing ability has been amplified by the disorder, and I've used that to become an aspiring screenwriter and playwright. I've been able to pick up complicated software in a span of days. I've got a photographic memory and perfect pitch. Anxiety aside, this isn't really a disability if it gives away so many abilities for free. I've figured out, though, that I'm insanely lucky, and that other people on the spectrum may not have gotten as nice of a shake as I have. I help out at a Challenger Baseball league that my dad set up about 10 years ago, teaching aspies and more severe autistic kids how to hit, how to run the bases. It's my way of giving back, I guess. Looking at Digitability as a high-functioning autistic adult, I couldn't be more impressed. Especially when I was editing this video of a special education teacher in her autistic support classroom. I understand that people learn in different ways, and displaying concepts like these visually, and in a way that they can follow easily, is a pretty nice idea that's executed very well. I'm glad the word seems to be spreading, and I'm glad more and more young adults on the spectrum who need Digitability are getting around to using it. Could I have used it when I was younger? Maybe? I feel like a ton of people I was in elementary school with, who I was in a lot of the inclusion classes with, could have used it, as well as some of my colleagues from middle school. I might have gotten a ton out of it, and I probably would have been trying to use a ton of those skills on my home computer, and drive my parents up the wall or something. I do think it's important that Digitability exists now, because there's been this insane boom of kids on the spectrum growing up in the past 10 years. The floodgates have opened, and more and more people need the support and the help; moreover, the jobs are popping up in technology-based places. 2017-era America definitely needs Digitability more than it did when I was growing up, because the urgency's there. People definitely need Digitability now, and it's gonna help a ton of people really succeed in the world. 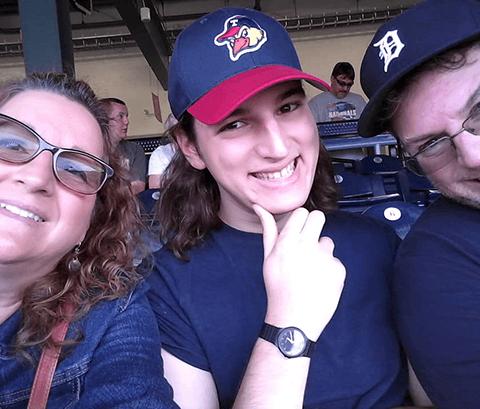 Jordan Schmidt was diagnosed with Asperger's Syndrome at age 3, and since then he's been given opportunities to thrive academically, socially, and independently. 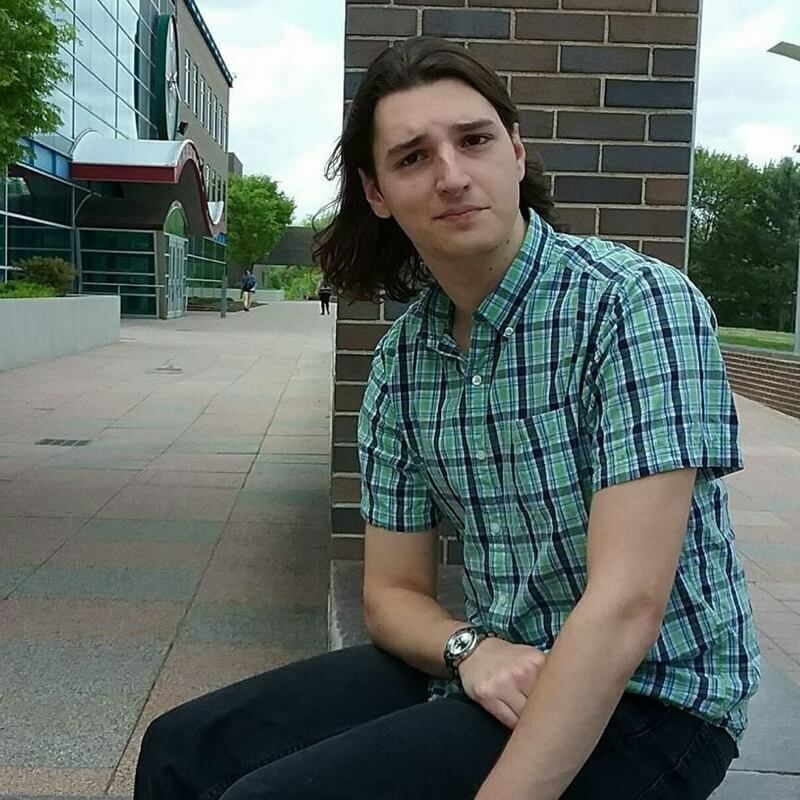 Jordan is a senior at SUNY Purchase College, and he's been aspiring to write for the screen and stage since he was very young. His goal is to use his writing ability to inspire people and inspire change, and to help people with autism to succeed as well as he has. Among many pursuits, Jordan has a fascinating baseball card blog.